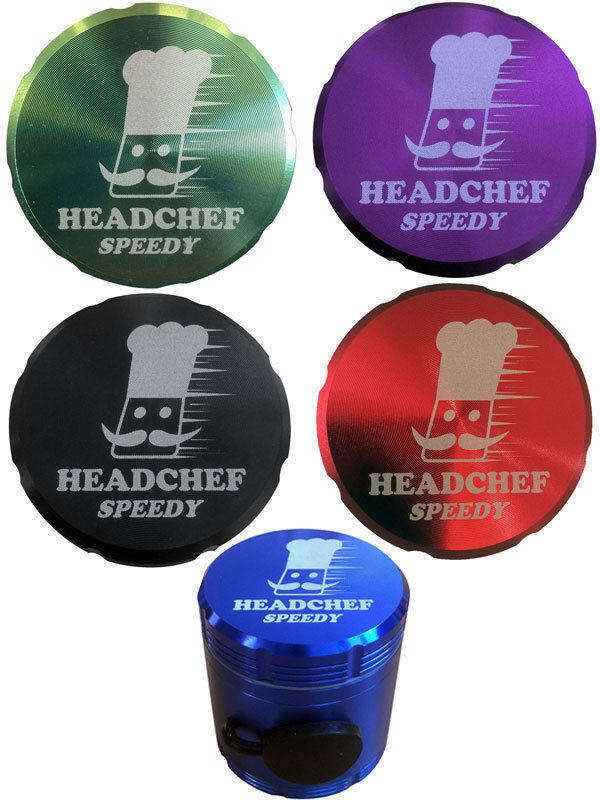 Introducing the Speedy G Grinder, from the premium Headchef brand. Headchef are one of the very best grinder manufacturers and this is perhaps their best model! With its super sharp teeth and unique speedy dispensing system, this sifting grinder is a superior product with a difference! It works like any other sifter grinder, but it has a special dispensing system in the side of the collection chamber. Simply pour your newly ground mixture out - no more unscrewing! This makes it the perfect choice for when you're out and about! It also features super-sharp trapezium shaped teeth, to ensure perfect-consistency shredding every time. Not only that, but all 5 of the vivid colours are absolutely stunning! Please remember that we ONLY EVER sell authentic goods. There are lots of fakes out there, so buyer beware! Returns accepted within 30 days, for any reason whatsoever, but product must be unused unless faulty.